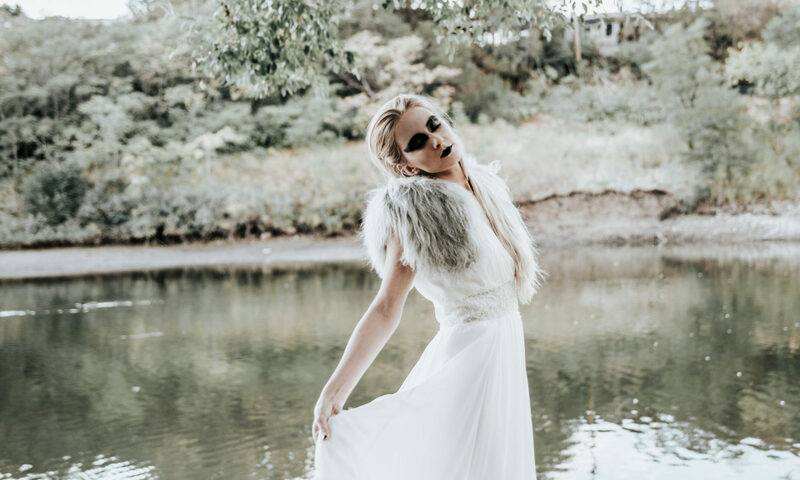 Showcasing a one of a kind gown from Elaya Vaughn!! This month we are showcasing a dress that really stands apart from the rest! 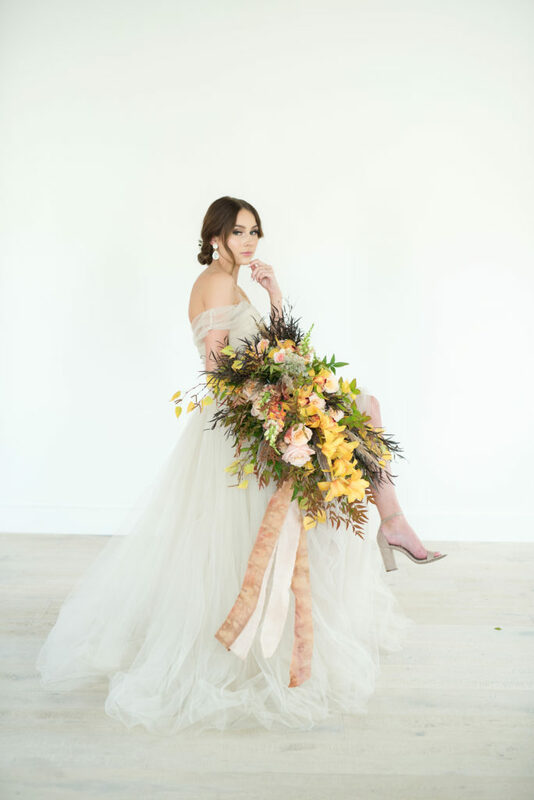 We say that about every gown, I know, but this one is definitely one of a kind. This beautiful shoot was done by Kristina Curtis. This gown has a gorgeous mocha color that makes it stand a part from your standard ivory dress. 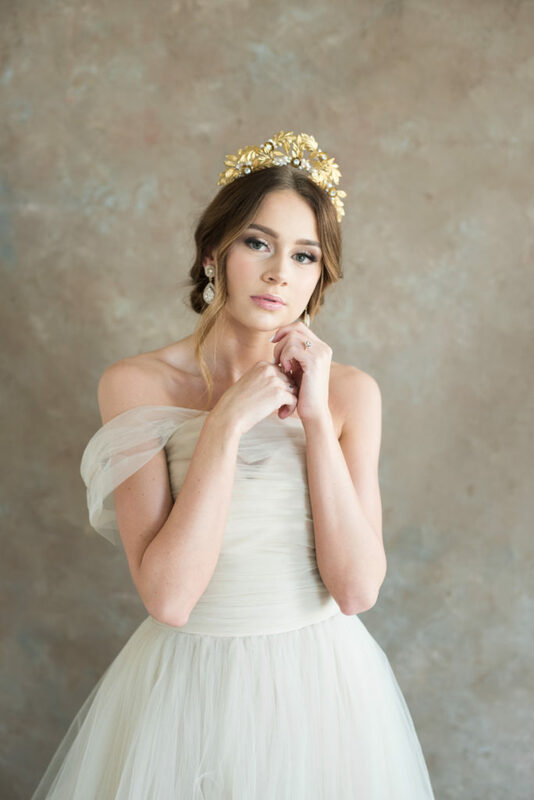 This gown also reminds me of a Greek Goddess, and this look is elevated by the addition of gold jewelry and headband. It’s exotic nature really separates it from your standard look. 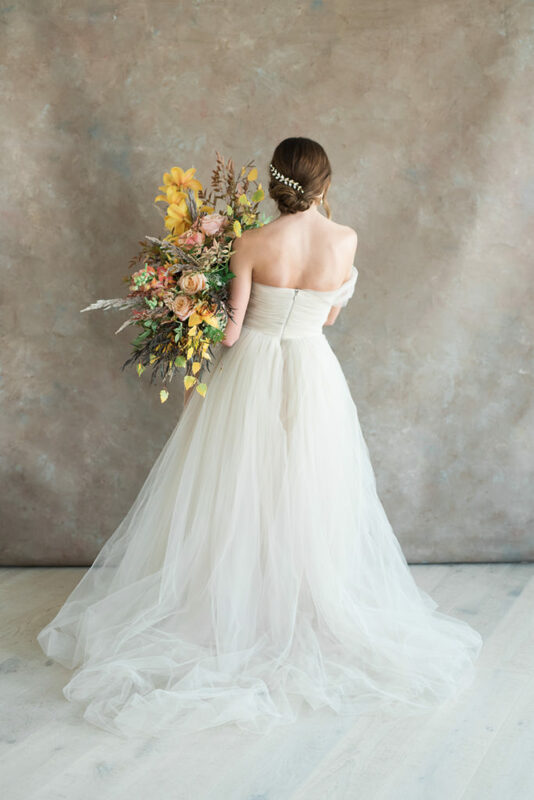 If you are looking for something other than your standard ivory dress, check out our post about Bridal Colors to find something unique to you! The asymmetrical off the shoulder is so chic and dynamic and adds to the exotic look of the gown. I really admire the risks that this gown takes and how it pushes boundaries on what is standard for wedding dresses. If you’re looking for something a little more traditional than this piece check out our highlight of Kenneth Winston, who takes classic to another level! We have loved showcasing our dress of the month! Check out our favorites from January and February! 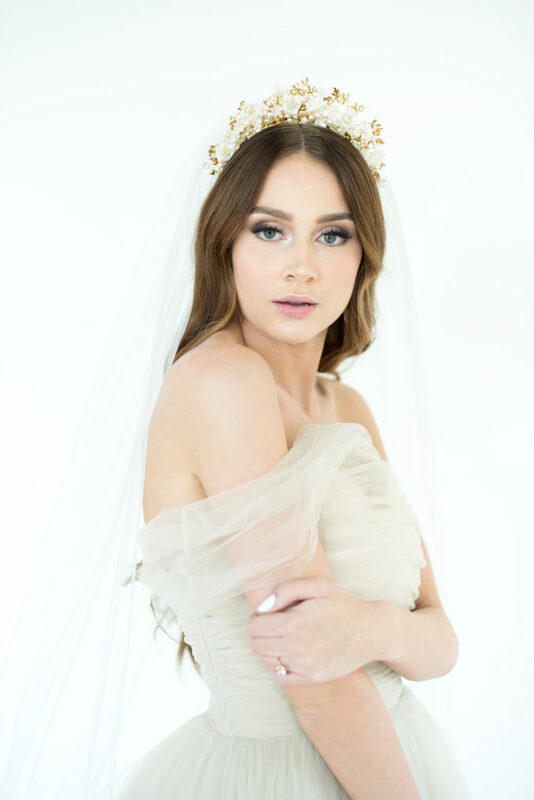 If you love the unique and goddess vibes this provides give us a call or schedule an appointment here and we can help you find the gown you absolutely adore! Don’t forget to check back here for our next dress of the month! Come check out our fabulous collection from amazing designers!